HOLLYWOOD, S.C. -- As a South Carolina sheriff's deputy responded to a report of a home invasion, he shouted commands at a black man holding a gun before firing at the man and wounding him in the neck, according to an incident report released Friday. Officials also released Friday a recorded statement the wounded man gave to an investigator, acknowledging that he should have dropped the gun. On a 911 tape of the incident a male caller tells an emergency dispatcher, "Someone was trying to break into my house. Please come. ... It's an emergency and they have guns. Please come!" The man, later identified as Bryan Heyward, came out of the back door with a gun and the officer told him to drop it, Sheriff's Maj. Eric Watson said. "As we were approaching, the back door swung open," said the report written by Deputy Richard Powell, who responded to the scene with Tyner. Powell said he could not see into the house from his vantage point. The deputy wrote that he "heard Deputy Tyner shout verbal commands and that there was a gun" and "next heard gunfire as Deputy Tyner fired to suppress the threat." As Heyward was being rushed to the hospital, he told an investigator in a recorded interview that he should have dropped the gun that he had grabbed earlier to protect himself from intruders. The recording was played Friday during a meeting between Charleston County Sheriff's officials and about a half dozen community leaders. News reporters also attended. The State Law Enforcement Division is investigating the shooting and the sheriff's office will investigate the home invasion, Watson said. The two deputies involved in the incident have been suspended with pay. 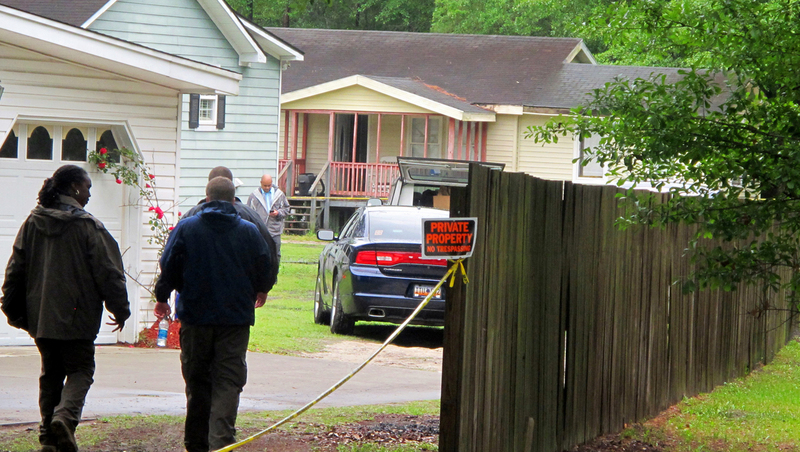 It was the second shooting in recent months involving law enforcement in Charleston County.